Polymetros is an interactive, collaborative music system that enables a group of people to play, improvise and compose music together on the fly. 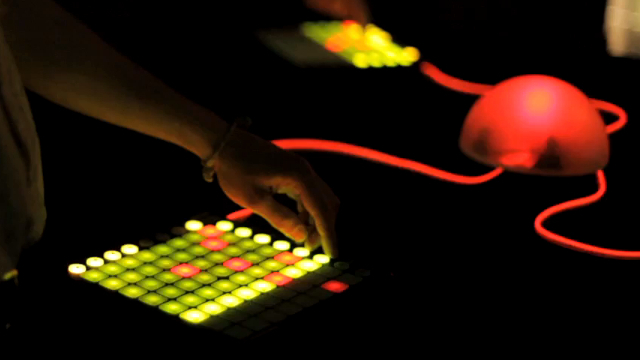 Via their own instrument each player can contribute individually to a collaborative musical creation. Designed as an audience experience for festivals, museums and public workshops it allows visitors to walk up and playing music together as an immediate enjoyable group activity. 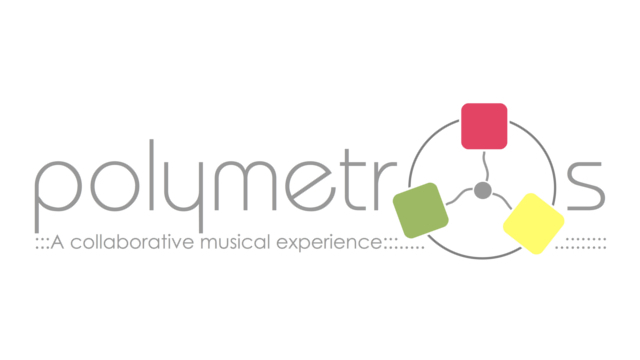 Polymetros is part of a research project that investigates concepts and design strategies for collaborative interactive music systems that reach out to broad audiences and aim to foster public creativity and collaboration. Your Browser supports neither MP4 nor WebM video formats. Sorry !!! Bengler and Bryan-Kinns (2014a). 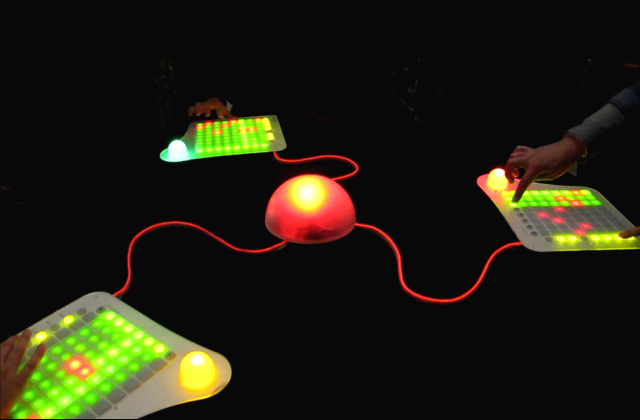 In the wild: Evaluating collaborative interactive musical experiences in public settings. In Candy, L. and Ferguson, S., editors, Interactive experience in the digital age: Evaluating new art practice, Springer Series on Cultural Computing. Springer, London. Bengler and Bryan-Kinns (2013). Designing collaborative musical experiences for broad audiences. In Proceedings of the 9th ACM Conference on Creativity & Cognition (C&C ’13), ACM, New York, NY, USA, 234-242. Bengler and Bryan-Kinns (2014b). Polymetros. ACM Interactions 21(3), 12- 13.